Spioenkop means ‘Spy Hill’ and was coined by the Dutch settlers for the commanding views it afforded. The following days witnessed a bloody battle between the British Empire and a ragged collection of Boer farmers, and the British Empire lost. The British soldiers were local boys from the Second Battalion Lancashire Fusiliers, the Second Battalion of the Royal Lancaster Regiment and the First Battalion of the South Lancashire Regiment. 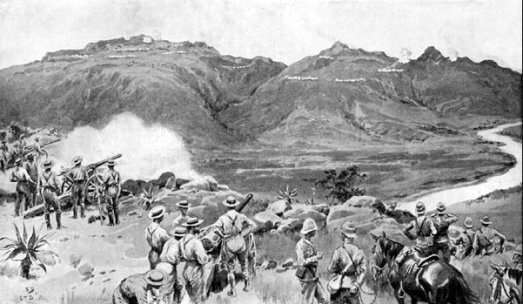 Capturing Spioenkop meant that the British Army could relieve their countrymen besieged by the Boers in the Natal town of Ladysmith and be home by Christmas. However, that reckoned without a series of blunders by the British High Command, led by Sir Redvers Bullers, and the terrifying fighting qualities of the Boers. Reports at the end of the battle, which raged for two days stated 332 killed, 563 wounded and 163 prisoners taken, but these figures are still open to question with some claiming up to 340 killed and 1000 wounded. The Boers had beaten the mightiest army in the world and the reverberations were felt around the globe. An opportunity arose to speak at a Liverpool video game conference towards the end of November and as someone who shares the same last name, country of birth and love of Liverpool FC as Didi Hamann, I would be forever kicking (pardon the pun) myself if I didn’t at least try to connect with my namesake while in Liverpool. As luck would have it, LFC decided to make a few additional seats available for a number of matches, including the Man City visit to Anfield which coincided nicely with my business trip. I decided that my chances of meeting Didi Hamann might be enhanced if I secured a ticket. Not to mention a potential match of the season against the table topping Man City. After staying up past midnight Vancouver time on the day tickets were made available, I found that a) trying to call the ticket office would not get me anywhere (line was constantly busy) but that b) making sure I was logged into the online ticket buying system on the LFC website at least ten minutes before opening and constantly refreshing the page would get me access to ticket purchasing as soon as they were available. Within 15 minutes I managed to secure an 18th row seat at the Anfield Road end, just to the left of the goal. Mission one accomplished. Whether this would improve my chances of connecting with my namesake I wasn’t sure. Next, I decided to book myself into one of the various Anfield tours available, hopefully further improving my chances of meeting Didi. It was a difficult choice, as any one of the options are great. There’s the Anfield Stadium Tour (Match Day, Peak and Off Peak), Museum, LFC Legends Tour (Didi was not on the list unfortunately), Pre Match Kop Viewing, the Anfield Experience and the Ultimate Anfield stadium tours. I briefly toyed with the idea of signing up for the Ultimate Anfield tour but decided against this. What if during the Melwood training session (part of the tour) I scored some spectacular goals and then, they’d want me to suit up for the Man City match, forcing me to miss the rest of my business trip to Edinburgh and London! Couldn’t leave the University of Edinburgh without a speaker could we? So I decided on the Anfield Experience tour, still dreaming about scoring those goals at Melwood. Perhaps Jan Molby and Alan Kennedy, the two LFC Legends on that day, would know where Didi was and could set something up. I spoke at the conference on Thursday and then was excited about the Friday Anfield Experience tour which was scheduled to start at 9.45 am, sharp. Normally they mail you a voucher and other items but since I had booked that close to the tour date, Pat King the events coordinator, emailed that the paperwork would be held for me at the Centenary Stand tour reception for my arrival. Everything looked good so far, there was great communication with the tour team. Perhaps they’d notice my last name and get me in touch with Didi! On the morning of the tour I packed my 2005 Champions League shirt into my bag (ready for Didi’s signature) and decided to take a taxi from my hotel to Anfield instead of taking the 20 minute walk. Here’s another tip. Always ask your taxi driver which club they support. If it’s Everton, immediately get out, find an LFC driver and save yourself some money. Mine that morning was an Everton supporter and took great pains to drive me the long way around the Everton ground, filling me in on much of their history, repeatedly pointing at different views of the Everton ground and slowing to a crawl each time to make some point. Great! A regular 4 pound taxi fare to Anfield ended up costing me 7.50 pounds! So much for the friendly rivalry between the clubs! I still got to Anfield in plenty of time however, picked up my voucher and was directed to the second floor café. Everyone was assigned to a numbered table, which also coincided with the number of the executive suite where we’d have lunch that day, high above the Anfield pitch. And, as I later found out, the first visit with our LFC legends of the day, Alan & Jan.
All of the LFC staff were upbeat, friendly and welcoming. And that was the feeling for the whole day. I never got the sense once that we were a group of sheep to be driven through the gates as quickly as possible. On the contrary, myself and everyone else were treated as part of the LFC family. The tour that morning was so well attended that they split us up into two groups. The first would go directly on the guided tour while the rest of us could spend some time in the museum and LFC shop. I found out very quickly that the museum needed more than just an hour which is when our group was scheduled to meet in front of the Shankly statue and partake in the guided part of the tour. There was no problem getting back into the museum later, which I did. Even then they had to kick me out at 5pm closing, still wanting more! I’m not going to give you details of every part of the tour but suffice it to say that every step of the way was a thoroughly enjoyable experience. Each tour guide obviously loved talking about the club and their part in it. We started with the Legends Lounge, moved to the Press Room and heard the story of how the change from what was the Boot Room to the current Press Room coincided with the changes in the club’s fortunes (Rafa wanted to bring the Boot Room back to it’s original location but was denied), to the home and away dressing rooms, walking down the steps, touching the “This is Anfield” sign and hearing how away team players admitted being intimidated by that sign and the roar of the Anfield crowd, sitting in the player and manager dug out at pitch level, hearing the history of each stand including the Kop and then heading up to our Executive Suite overlooking the pitch for lunch. The three course lunch was excellent but the arrival of Jan Molby and Alan Kennedy even better. They’d obviously done their homework as the first thing Jan said, pointing directly at me was, “you’re from Vancouver, Canada, I love Canada!” It turns out Jan had played at an indoor tournament in Toronto. His opening line broke the ice and a great discussion proceeded from there. Each one of our group got our pictures taken with both Legends on the balcony with the Kop in the background. I then pointed out to Jan & Alan that Didi and I had the same last name and might there be a chance that Didi was around. Jan immediately said they’d check and to chat with them again later after lunch when they’d field questions from the entire group back at the cafe. We finished lunch and then headed back down to the café to ask our Legends questions and hear whatever stories they had to share as well as get our autographs. Someone in the audience asked who the “craziest” player they’d ever played with was. There was a moment of silence while Alan and Jan looked at each other and then Jan immediately said…..”Bruce Grobbelaar”! For no less than 30 minutes the room was held captive in laughter and suspense as Jan and Allan recounted one story after another of the antics of Bruce during his time at LFC. Both Jan & Alan agreed that Bruce was not only one of the greatest keepers to don an LFC kit but also one the nicest people as well. There’s no doubt Bruce was a character that kept everyone of the players at the time on their toes and in stitches. But he was well respected and loved. You might recall that Bruce played for the original Whitecaps in 1979 and 1980 before joining LFC. What you might not know is that he currently is back in Canada, living with his wife in Newfoundland. After many more questions and stories it was time to get our autographs from Jan & Alan. I got my signatures from both on my Champions League shirt and was then told by Jan to meet Alan at the Carlsberg Lounge prior to the Man City match on Sunday to see if a meeting could be arranged with Didi. Jan was doing TV work on match day while Alan was prepping the Carlsberg Lounge crowd with the team sheet and formations before the match. Allan was kind enough to come off the stage to say hello and try and find Didi but to no avail. At one point, Alan asked an LFC employee if he’d seen Didi that day since (pointing to me) “this fella from Vancouver thinks he’s related to Didi Hamann!” Well, Didi and I may not be related by blood (there’s a small chance we are), but we do have the same last name, were both born in Germany and both love Liverpool Football Club. It’s obvious we ARE related! My hope is to one day meet Didi Hamann to see if we are related and get my namesake’s autograph on my Champions League shirt. Until that day, I will always treasure a very special day at a very special football club. Thank you Jan, Alan and everyone else on that day at Liverpool FC! 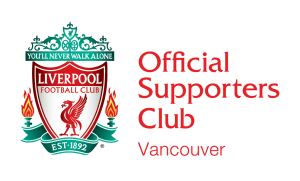 LFC Vancouver members Russ & Louise attended some games at the World Cup this summer in South Africa. Here are some photos of Russ outside and inside the stadium at Soccer City Johannesburg before the Holland v Denmark game. Russ brought an LFC shirt to trade with some local policemen who were apparantly LFC fans. Thanks for sharing the photos Russ.